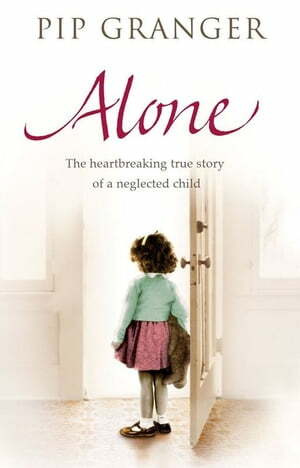 Collins Booksellers - Alone by Pip Granger, 9781409031871. Buy this book online. The only daughter of alcoholic parents, novelist Pip Granger spent much of her childhood outside looking in. No strangers to the demon booze, her parents were deeply involved in a passionate relationship that rose to exciting highs and plunged to terrible and often frightening lows. Drink explained the series of crises, the furious rows and life-threatening accidents Pip had to contend with, and it also explained why her home life was so very different from that of most other people she knew. Just after her first birthday her family was evicted from their cottage in Sussex for non-payment of rent - a pattern that was to recur throughout her childhood. Home became a place best avoided, and soon Pip was spending time with her ne'er-do-well father in cafes, snooker-halls and other low dives in London's Soho where she made a series of lasting friendships with the unlikeliest of people. Brave, funny, original and totally authentic, Alone is a heartbreaking book about alcohol abuse, parental neglect, and the courage of a little girl to find her own way through a trouble-filled world.